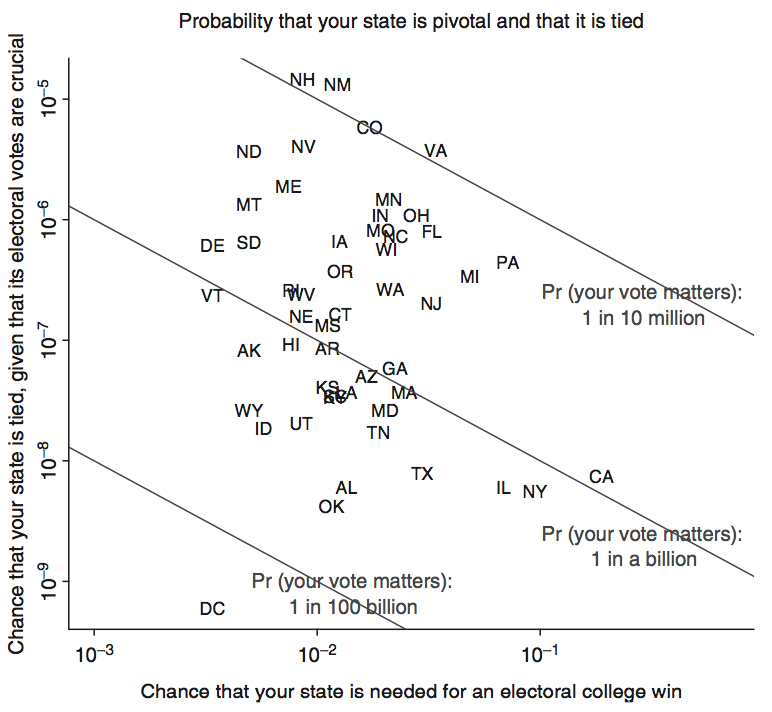 The big, urban states traditionally did very well in the electoral college. . . . New York used to be a major swing state; California also was very contested once it became large, and even Texas had a run as a competitive state with big cities for a while. For whatever reason, all of that has slipped some over the last twenty or thirty years . . . Still, all else equal, a presidential candidate would rather pander to a large state with lots of winner-take-all electoral votes than a small one, which should tend, over time, to balance out the small-state advantage in the Senate. 1. 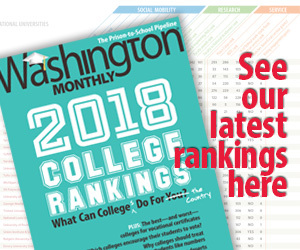 In the ultimate election outcome, the electoral college generally matches the popular vote winner pretty closely: if a candidate wins 51% of the popular vote, he typically has about a 95% chance of winning the electoral college. 2. 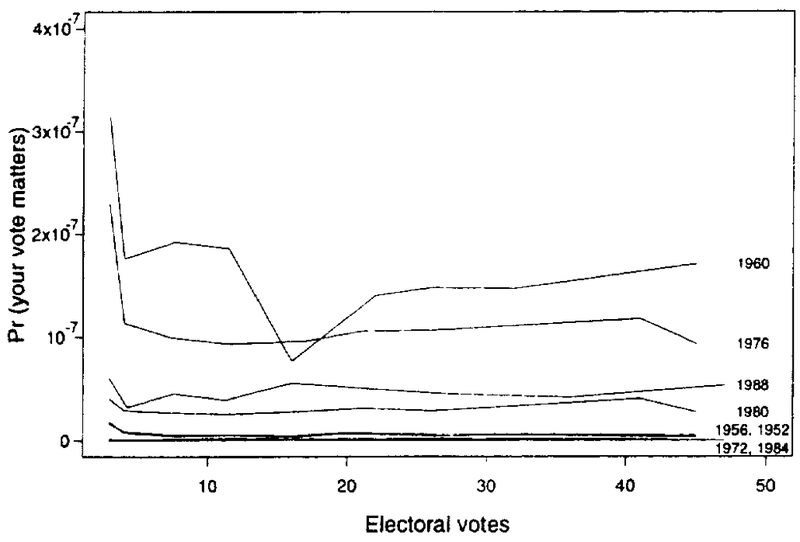 The electoral college benefits voters in certain swing states, which vary from election to election (for example, Vermont was a swing state in 1992 but is not a swing state now). 3. On average, the electoral college benefits voters in small states, in the sense that an individual voter in a randomly-selected small state is more likely to have a decisive vote, compared to an individual voter in a randomly-selected large state. 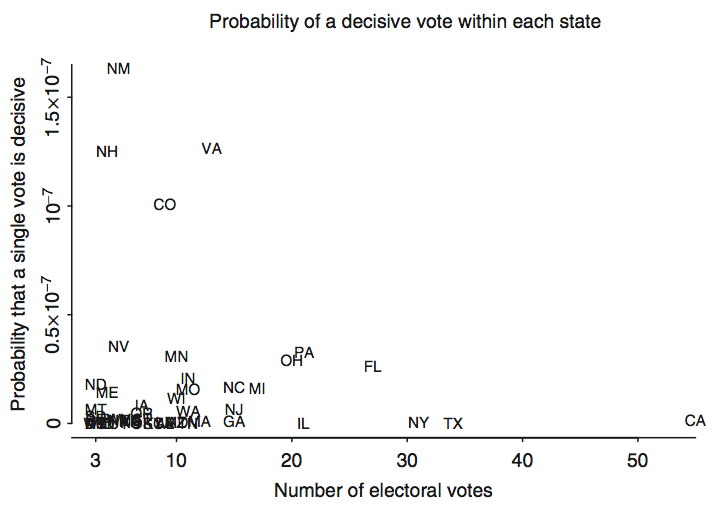 With a national popular vote, of course, all votes are equally likely to be decisive. Thus, compared to a national popular vote, under the electoral college a presidential candidate would rather pander to a small state, not a large state as Bernstein claims. But, again, this is on average. New Mexico and Utah are both small states but only one of them is going to be competitive in 2012. 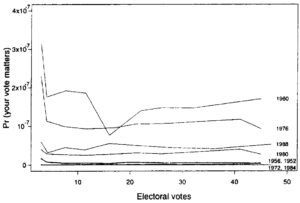 The above are all showing Pr(decisive), which is from the voter’s perspective, but it’s the exact same story from the campaign’s perspective, it just gets directly translated into the probability that a campaign will change the election outcome by persuading one person to change his or her vote (or by persuading two supporters to turn out to vote), or 1/1000 the probability that a campaign will swing the election by persuading 1000 people to change their votes, etc.